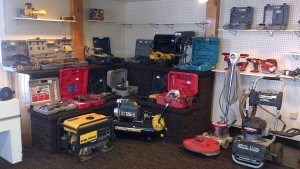 Come see the Used Power Tool Store inside B&B Pawn and Gold! Sometimes, going for the newest version of the same type of power tool isn’t cost efficient. If you know what you’re doing, you can complete any project regardless of the tool’s condition. So why not try used tools instead? That’s where we come in at B&B Pawn as the used power tool store for you! So what do you have in store for a selection? As expected of a place that sells used power tools, we mainly have a lot of drills. But that’s not all we have. We also have an assortment of power saws, floor cleaners, pressure cleaners, even a power generator! Most will come with their own cases, so you don’t have to worry about carrying it all in pieces. If you would like to know more about the selection we have on hand, simply give us a call and our staff will be more than glad in assisting you with the findings you need. Also, if what you’re looking for may not be here, you can also try over at Oro Express Mesa, one of our sister stores, to get the tool you need. Why go with used power tools? To be honest, there’s really not much difference between a new tool and a used one. Both have the same purpose and both will have all accessories that come with it (in most cases). However, you would have to pay more for a new tool which may break down easier upon use. A used tool wouldn’t break down as easily and already have been put through its paces before it came into our possession, so you know that it’ll work. We wouldn’t accept it otherwise, so you can rest assured that these tools work. The next obvious plus of getting a used power tool is the price difference. Used power tools can be up to half of their new counterparts, and given the durability of most high-class power tools, it’ll still continue to work for years to come at a fraction of the price. Will B&B Pawn and Gold still be a pawn store? Of course we will. But that doesn’t mean we can’t offer to be a used power tool store either. If anything, it gives you, the customer, the freedom to come to us as you like. You can come to us as a pawning option or if you want to save a few bucks here and there with our selection of used power tools. 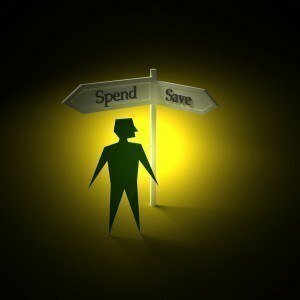 The CHOICE, as with all things, is yours. Just know that we will continue to serve our customers that come from all walks of life, be they from Mesa, Tempe, Chandler, Scottsdale, wherever they are. That’s why we’ve been in business for OVER the last decade and many years to come! So come down, and get your home improvement project started with the tool that’s right for you!